This deck is crafted by malmajid97 from Reddit. I thought this deck was quite innovative and he put quite a bit of effort to get his common cards to a very high level. It does require 2 epic cards of Baby Dragon and Balloon. Thank god it isn’t very high level, so it will be easier to achieve for f2p players. This deck has a very balanced with decent air and ground offense/defense. The bomber tower has relatively high hp and can take 2 balloon shots before going down. I can see this deck struggling against PEKKA/Princess decks, but it works well against troop/spawner/prince decks. Note: Please keep in mind in order to achieve legendary arena ranking, you need to be consistent in requesting cards from your guild every single day. That means you have to request twice a day for common/rare cards without fail to get your cards to a high level in 2 months. You can’t expect your deck to challenge the best or rich players with your level 6 common cards. It just isn’t going to work very well. Learn to use every card to your advantage and you will get there eventually. Zap – A great spell to take out small troops such as goblins, minions and a minor stun to stop a prince charge. 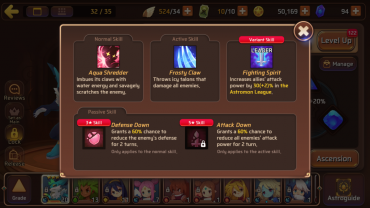 Knight – A little forgotten by mid level players. However, he is a good medium tank to slow down prince/dark prince combo. He can also be dropped in the backline against the Witch or Musketeer to take them out. Spear Goblins – A great backup troop to support your knight or baby dragon on offense. Just avoid using them too much against spell heavy decks with arrows and fireball. This is also a great troop to slow down the prince. Wizard – Does best against small ranged troops, minions and minion hordes. Since most high level players will run minion horde, wizard is the perfect counter. He can also help against balloons, which is this deck’s weakness. Bomb Tower – This alone will stop heavy troop pushes such as Barbarian + Witch, Skeleton Army + Goblins and any sort of small troop combo. Can also be used to tank prince charge or balloon attacks. Fireball – Great at stopping huge medium sized troop pushes. Best used against musketeers, wizard, witch and barbarians for the most bang for your buck. Can also be used to finish off towers. 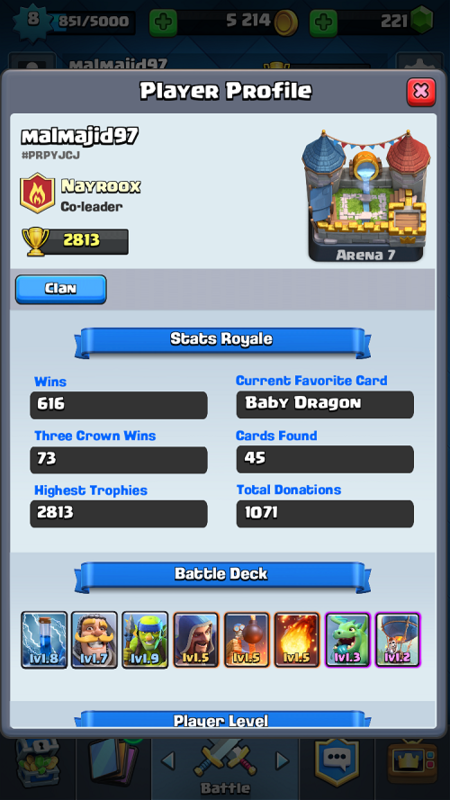 Baby Dragon – Many high level players are using it. It’s only weakness is that it doesn’t do much damage to crown towers, but it can kill small/medium troops efficiently. A very underrated card indeed. Balloon – This card is hit or miss. Works very well against decks with very little air defense. Once the balloon reaches the tower though, it will do a lot of damage. Smart players will have buildings like elixir pump or bomb tower to distract them and give their towers enough time to take it down. Knight + Wizard vs. Golem. Drop the Knight behind the Golem (closer to the opponent’s field) so it soaks up damage. Zap vs. Minion Horde ONLY if they’re alone. My winning rushes are always after I deployed Knight + Wizard on defense and they’re still alive. I drop the balloon and go for an attack. I’ll usually throw the Zap in there to freeze the tower and any weak defense. For those wanting to build this deck, be sure to keep a look out for Balloon and Baby Dragon epic cards on sale from the store every day. Save up your gold to buy only those two cards when they do appear. Otherwise, try and find alternatives to them and see how it works out for you.